Course Rep of the Year Awards are still open + #sparqs19 registration! Course Rep of the Year awards are still open! The awards for 'Course Rep of the Year' are currently still open until Friday 8th February so please get your nominations in if you'd like to see an outstanding rep recognised! Nominations are invited for students who have been reps during 2017-18 and/or 2018-19. There are awards for both the college sector and the university sector. We welcome nominations for volunteer reps (course reps, lead reps, school reps, etc) who have worked hard to ensure the rep role contributes to enhancements in learning and teaching and the overall student experience. See the Awards webpage for all the details on how to nominate an outstanding rep! The shortlisted reps will be announced in mid-February! See our other news article re the shortlists for the four institutional/SA Awards categories - congratulations to all those shortlisted! Reminder re Conference Registration closing date - 22nd February! If you're planning to come along to the full conference on 28th March, please note that registration closes on Friday 22nd February, so please register ASAP if you've not yet done so. We look forward to seeing you on 28th March! 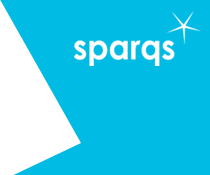 Click here to subscribe to the sparqs' Mailing list to get news updates and much more.